This year, nine outstanding young Australians – chosen on the basis of academic achievement, character, leadership, and commitment to service – will receive Rhodes Scholarships to study at the University of Oxford in the United Kingdom. Applications for the scholarships are now open and will close at midnight, AEST, 14 September 2018. 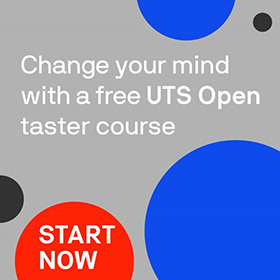 Further information on the scholarships can be found on the UTS external scholarships webpage. Interested in applying but not sure if you meet the selection criteria? Listen to a recording Rhodes Scholarships Information Session that was held at UTS in early August to find out more about the application process and hear from former Rhodes Scholar, Dr Tamson Pietsch, Hon Secretary, Rhodes Scholarships NSW and Director, Australian Centre for Public History at UTS.